Wondering what to do with your weekend? 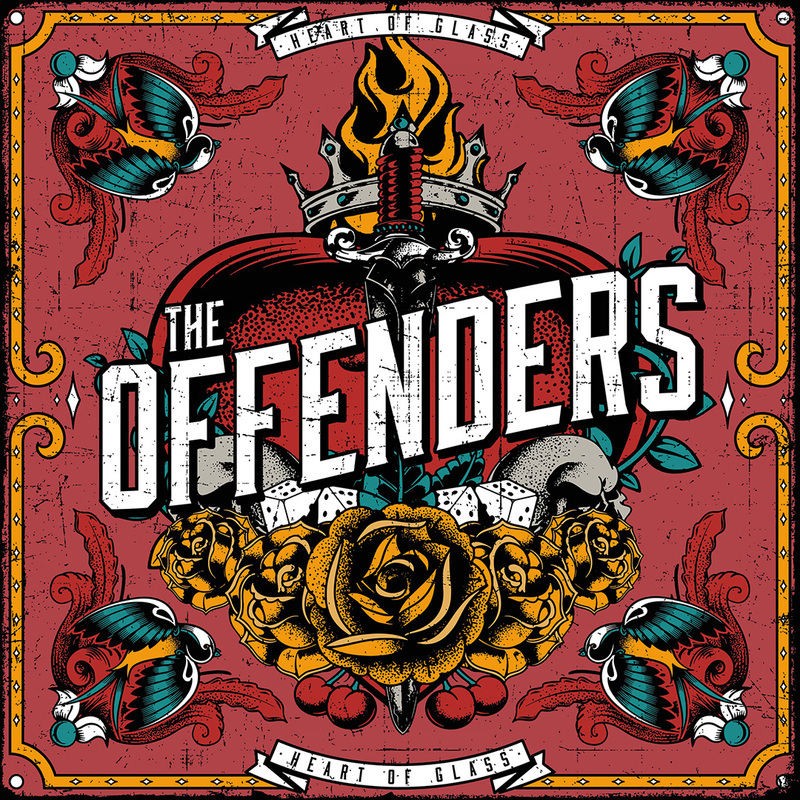 Go out, grab The Offenders' killer new album 'Heart of Glass' and dance the night away 'cause it's OUT TODAY on Destiny Records! 'Heart of Glass' is Muttis Booking approved, so get your copy now and be sure to check out our other Muttis Booking bands ON TOUR! TV Smith, legendary punk rock poet/ The Adverts frontman, and Die Toten Hosen drummer Vom Ritchie are teaming up again this week with Fehlfarben axeman Thomas Schneider for a handful of shows which will prove to be unforgettable! One show is already Sold Out, so grab your tickets fast to be sure you don't miss out on this very special set! Friends, Family, Promoter & Bands! We wish you all a happy new year and only the best for you and your loved ones. Take care of each other, go to shows and let's celebrate great music for the next 365 days! This weekend we have DAMNIAM on the road, the guys will show you some new songs of their current record "Planet Piss". 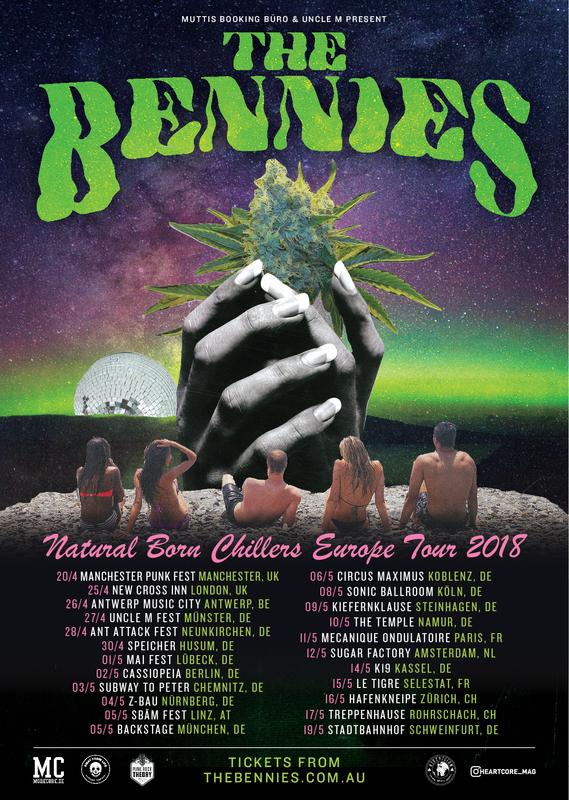 The Bennies will be back in Europe in 2018! They will play a big tour and going to visit the UK, France, Germany, Netherlands, Austria, Switzerland & Belgium! The tour is presented by us, Muttis Booking Büro, Uncle M, MoreCore.de, AWAY FROM LIFE, Punk Rock Theory, Riot Vision & Heartcore_Mag. Before their tour starts at the end of April, they will release a brand new record via Uncle M. In January they will also release their second single of the upcoming record. Their first single was "High Like An Angle", see the video on the comment section! We can't wait to have the guys back with us! Brace yourselves Europe! The Gods of Speed Rock have set their sites on the old country and are warming up their engines for 2018! 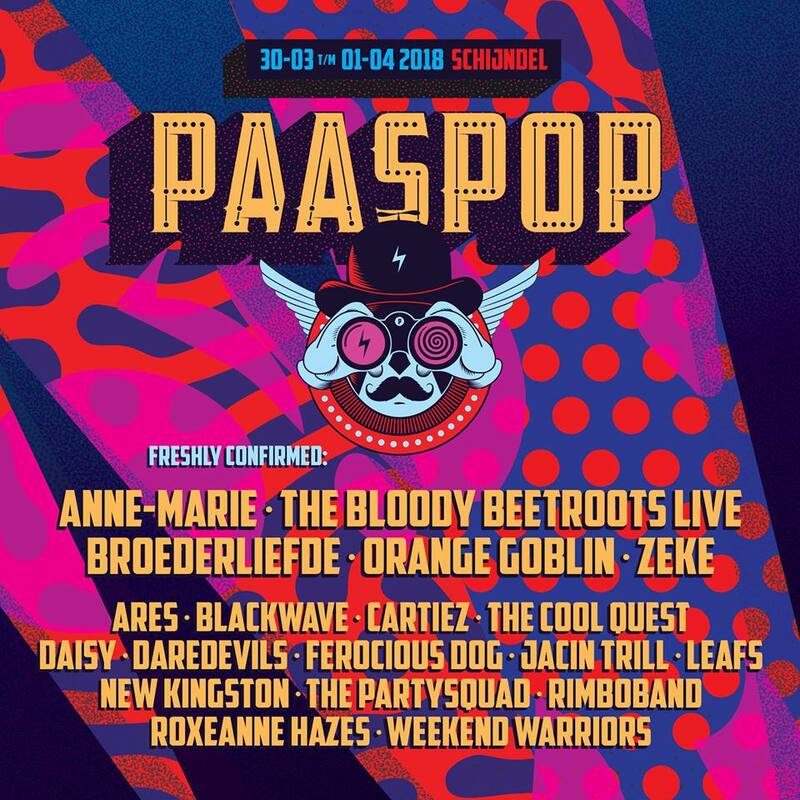 ZEKE are coming back with a vengeance and will be starting next year's run at the spectacular Paaspop Festival in Holland and then tearing through the mainland on their way to Desertfest London. The Marshalls are warm'n'humming, the Guitars are tuned tight and ZEKE's new album "Hellbender" is in the can and raring for release on Relapse Records. Get ready and ZEKE YOU! Our favourite Swedish skate punks, Satanic Surfers, are coming back next year with a new album, a bunch of new EU tour dates in Spain and France, and will be thrashing up the 2018 edition of Jera On Air! THE BACKYARD BAND will be part of the Rockpalast-Crossroads Festival in 2018! On March, 16th they will play at the Harmonie-Bonn together with Jessy Martens & Band ! We are really proud of the guys and can't wait to see them at the Harmonie stage!